Another List of Top EduBlogs | So You Want To Teach? 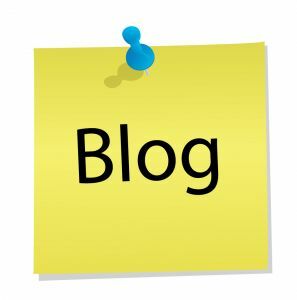 Over the last almost two years that I have been reading and writing blogs, I have come across a handful of lists of Top Education Blogs. Normally, I discover them when I either get a trackback or (more commonly) when a pagr refers someone over to my site. The latter was the case today. As far as the rankings I’ve seen before, this one was the most intriguing. Instead of simply using Technorati data or any type or arbitrary kind of thing, Jason Falls (an outsider to the world of edublogs) pulled a list of 150 EduBlogs, and ranked them based on reader interaction over the past 30 days through Postrank. All in all, it is definitely an intriguing methodology and the fact that he is not an educator means that he doesn’t have any bias towards a certain blog. And based on some of his comments, he really didn’t have much of an Edublog background bsedies the handful of hours he spent collecting and analyzing the data. Great stuff! Check it out at The Top Education Blogs over at Social Media Explorer. Oh yeah, look for So You Want To Teach? ranked at number 37. Thank you for everyone who has been commenting lastely! You guys rock. Thanks Joel. You’re right – I don’t have a dog in the hunt so I hope the list is useful. I have been notified that I missed a few worth considering for the list so I’ll wait a couple weeks to collect some more and re-run the numbers. But if you’re readers are interested, there’s a link in the post to an OPML file of all the blogs (about 140) that were “judged” to make the list. They can import that into their feed readers and have subscriptions to all the blogs. Thanks again for the mention. Hopefully the list will be useful to folks finding new blogs to read. Congrats, Joel! If you look carefully, you will find Learn Me Good down the list a ways, at number 3,157!! I enjoy your Blog and have linked to it. I just came across your blog and spent way too much time reading some of your very interesting posts! You share a lot of great thoughts and principles for teaching. I’ve added your feed to my reader and included a link to you on my blog. I look forward to reading more of your posts! Thanks Jason! Great stuff. I found a few blogs on there that I hadn’t heard of before, so it’s always nice to learn of new ones. Thanks for the link and kind words, mister teacher, Frank, and Natalie!